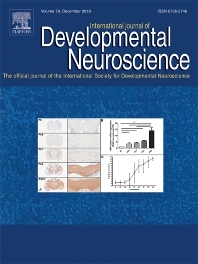 The International Journal of Developmental Neuroscience publishes original research papers, reviews and communications on both basic and clinical aspects of the developing nervous system, ranging from simpler invertebrate systems and in vitro neural models to models of regeneration and neurological diseases of developmental origin. Papers focused on translational research considering genetic and epigenetic approaches to behavior and nutrition, just two examples, are also encouraged. The journal encourages the publication of Special Issues dealing with topics at the cutting edge of research edited by Guest Editors appointed by the Editor in Chief. The main aim of the journal is to facilitate the transfer of basic information to clinical applications and to promote an understanding of the fundamental mechanisms of neural growth, development and pathology.